A mobile Bitcoin wallet is part of the Bitcoins wallets that users are given once they start using Bitcoin. This is where your private key and public address are located. Out of all the wallets available, this type of wallet is the most convenient since you can access it through your mobile phone or tablet. Creating a mobile wallet is as simple as using Bitcoin. You just need to download the mobile app to create your wallet. You do not need to give away any personal information. It is convenient because you always have it anywhere at any time. And you just need to bring your phone or tablet with you. Sending and receiving funds can be as simple as texting. Everything is just one click away. You can also go to a Bitcoin exchange or any crypto exchange with just your mobile phone. You just have to show the application and you can easily buy or sell coins. With your mobile Bitcoin wallet, you are provided with a QR code that has your public address and private key. You can use this if you are going to pay for a certain good at a store. Mycelium – This type of wallet is originally a hardware wallet. But as times goes by, the developers decided to turn it to a mobile wallet. Mycelium wallet offers a password authentication and a local trader that helps you trade with other buyers and sellers. Breadwallet – This type of wallet offers a simple core design and high security that protects the account from malware. Breadwallet makes sure that you have control over your money, has a secure environment, and decentralized verification. Copay – This is a multi-signature wallet. Copay wallet makes sure it is user friendly and makes you feel in control of your funds. It will be less stressful if you use a mobile Bitcoin wallet since you no longer need to access the computer or need a USB. You can instantly pay and receive funds while using your phone. 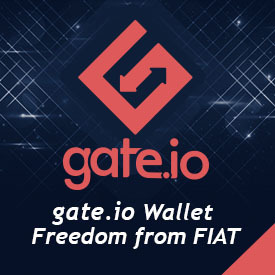 You can even receive your reward from Bitcoin mining through this wallet. If Bitcoin has made your life easier, then this wallet will make transactions even easier.